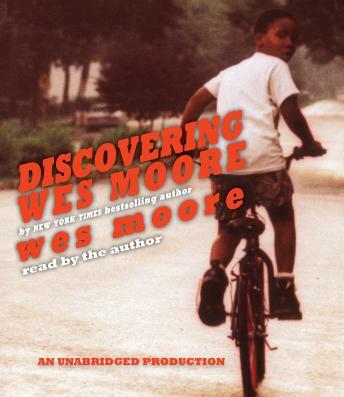 For fans of The Wire and Unbroken comes a story of two fatherless boys from Baltimore, both named Wes Moore. One is in prison, serving a life sentence for murder. The other is a Rhodes Scholar, an army veteran, and an author whose book is being turned into a movie produced by Oprah Winfrey. The story of “the other Wes Moore” is one that the author couldn’t get out of his mind, not since he learned that another boy with his name—just two years his senior—grew up in the same Baltimore neighborhood. He wrote that boy—now a man—a letter, not expecting to receive a reply. But a reply came, and a friendship grew, as letters turned into visits and the two men got to know each other. Eventually, that friendship became the inspiration for Discovering Wes Moore, a moving and cautionary tale examining the factors that contribute to success and failure—and the choices that make all the difference. Two men. One overcame adversity. The other suffered the indignities of poverty. Their stories are chronicled in Discovering Wes Moore, a book for young people based on Wes Moore’s bestselling adult memoir, The Other Wes Moore. Includes an 8-page photo insert.